East Japan Railway Co. began serving up a taste of local flavors via new menu items to passengers on some Shinkansen bullet trains on Monday as part of a large-scale renewal of the operator’s luxury Gran Class service. 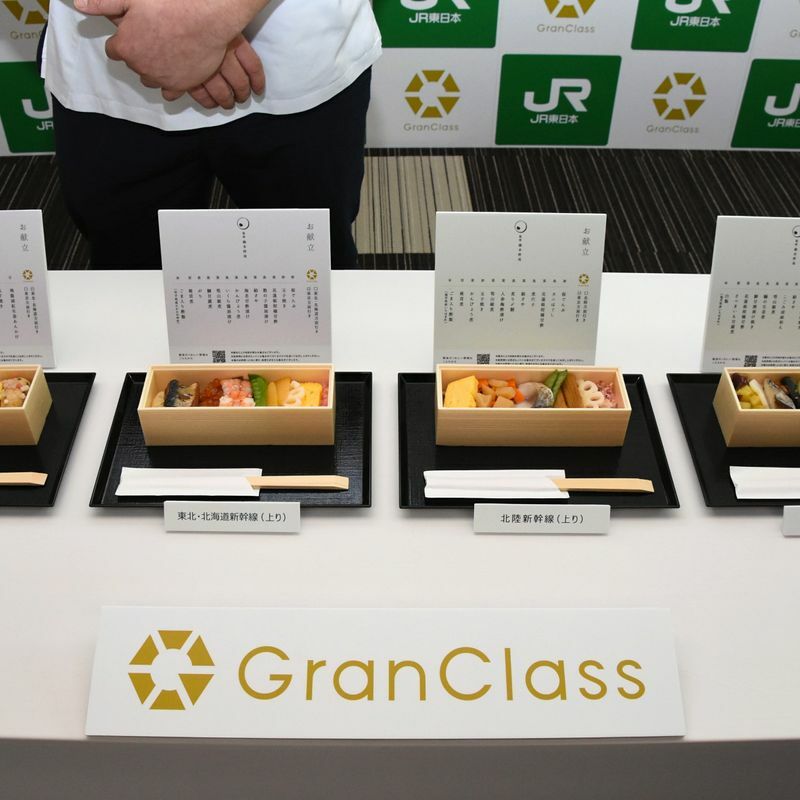 New bento lunch boxes form the central feature of the first significant renewal to JR East’s first-class “Gran Class” carriage service since it was first introduced on the Tohoku Shinkansen line in 2011. As well as the Tohoku Shinkansen line and the Hokkaido Shinkansen line to which it links, the renewal of the Gran Class service has also been introduced on JR East’s Hokuriku Shinkansen line bullet trains going as far as the city of Kanazawa, Ishikawa Prefecture, in central Japan. The new service menus are said to reflect the appeals of the areas through which the trains pass and have been created under the supervision of Mikizo Hashimoto, head chef and owner of Japanese restaurant Ichirin in Tokyo’s Shibuya Ward. 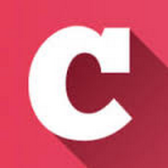 “To think about it from the point of view of the people who use this kind of service and how they feel about it we wanted then to turn to someone who actually uses the service themselves,” said Shingo Fukami, manager of JR East’s sales department advertising group, on the decision to bring Hashimoto in to supervise the service menu. As well as his restaurant Ichirin, Hashimoto opened a sushi restaurant in Kanazawa in 2017 and has been a regular Gran Class passenger as he moves between the two restaurants. 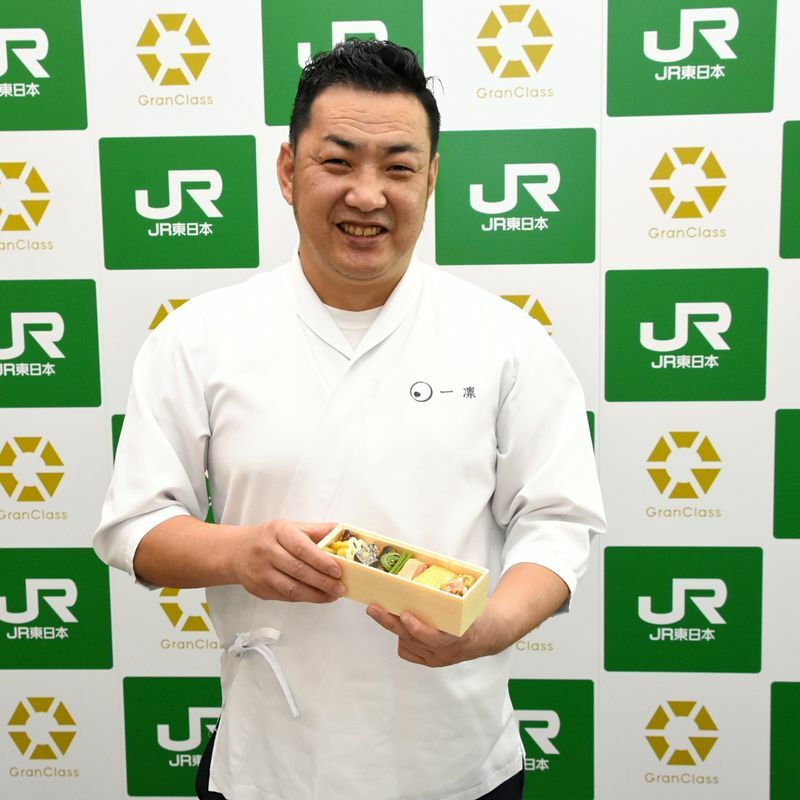 “This time the theme is one of “the view from the train window,” not from an airplane or a boat but only from the Shinkansen,” Hashimoto told press at an unveiling of the new menu items last week, ahead of their release. Food items in the bento lunch boxes offer tastes exclusive to Shinkansen passengers and have been arranged horizontally to reflect the passing scenery as viewed from the window of the train with a different bento offered depending on the direction of travel. On the Tohoku and Hokkaido Shinkansen line from Tokyo, Gran Class passengers can enjoy a bento that includes herring roe and salmon roe marinated in soy sauce, Pacific herring stewed in soy sauce and sugar, all served on sweet and sour rice from Iwate Prefecture. On the return to Tokyo passengers can enjoy items such as pickled salmon served on white rice from Iwate Prefecture. “We’ve arranged them like this so that people can get a sense of how wonderful each area is as they are passing through,” said Hashimoto. Under the revamped Gran Class service menu items will be changed every three months under the continued supervision of Hashimoto. The new menu also includes sake selected from brewers located along the Shinkansen route. Currently, Gran Class passengers on the Tohoku and Hokkaido Shinkansen line can get a taste of the Miyagi region through the sake Hakurakusei Junmai Daiginjo (伯楽星 純米大吟醸) from local brewer Niisawa Jozoten. 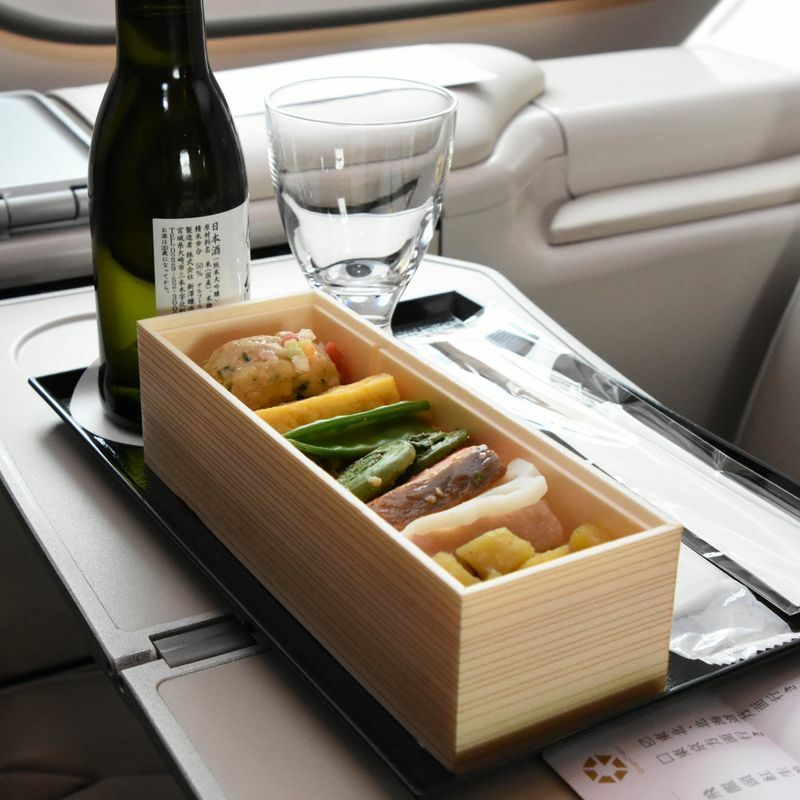 While the new menu no longer offers passengers a choice between Western and Japanese options the creators are hoping the reduction in such variety will be countered by an increase in quality as well as help to reduce the impact of waste as they aim to promote food loss reduction in line with the renewal. The Gran Class service comes with its own attendant, spacious seats that recline and adjust to a number of positions (English-language instructions), slippers and English-language menus. In recent years a number of domestic train operators and tourism companies in Japan have been launching luxury services, reflecting a trend in the country toward a new genre of high value-added sightseeing travel. Among the recent services JR East launched its own TRAIN SUITE Shiki-Shima in 2017, which departs Ueno Station in Tokyo for overnight trips around the northern regions of Japan. 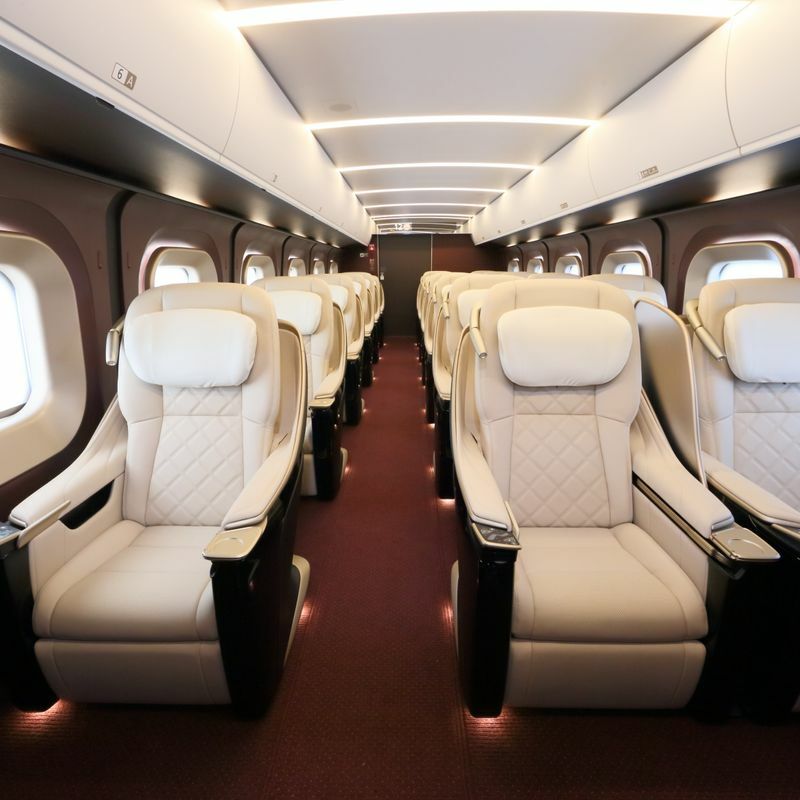 The launch of JR East's renewed Gran Class service comes ahead of an extended 10-day Golden Week in 2019. Reservations for travel during the holiday are at an unprecedented high with those made for domestic travel up 2.8 times compared to the previous year, according to Nippon Travel Agency Co., Ltd. as of early February.